This work explores high-speed impact of fully age-hardened 15-5 PH stainless steel with itself at average impact speed of 682 m/s and impact angles ranging from 8° to 28°. It was assumed that higher angles corresponded with higher shear stresses at impact point. Microstructural examination indicated more pronounced shear-induced features at higher angles, such as nanoscale elongated grains and adiabatic shear bands. Interfacial waves, a feature associated with impact welding, were most prominent at 12° and 16°. White etching layers (WELs), a constituent formed by rapid heating and cooling at impact, were found along the impact interface and most prominently at the front and back vortices of the interfacial waves. WELs (along the interface) were softer than base materials due to overaging, whereas materials surrounding the interface were harder than base materials due to grain refinement. Numerical simulations based on smoothed particle hydrodynamics method were employed to predict the local temperature and strain distributions which supported microstructural findings. 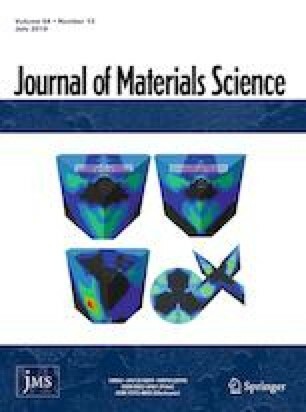 Thus, through high-speed impact experiments carried out at different angles along with advanced microscopy and numerical simulations, this work helped reveal the microstructural response of 15-5 PH stainless steel in a range of dynamic shear conditions. The online version of this article ( https://doi.org/10.1007/s10853-019-03546-0) contains supplementary material, which is available to authorized users. This research was performed while the author held an NRC Research Associateship award at Air Force Institute of Technology. The authors would like to acknowledge Air Force Office of Scientific Research for sponsoring this work. Dr. Anupam Vivek and Dr. Glenn Daehn acknowledge the support of the National Science Foundation under Grant Opportunities for Academic Liaison with Industry (GOALI), Award No. 1538736. Special thanks go to Dr. Varun Gupta (Pacific Northwest National Laboratory) for discussion on simulation, Dr. Nicholas Morris (Air Force Research Laboratory) for help with the nano-indenter, Dr. Robert Wheeler (Air Force Research Laboratory) for help with microscopy, and AFIT Model Fabrication Shop for support with manufacturing and sectioning.